"Getting Gonzaga's News To You Before It Even Happens"
Too busy to watch sports? Just moved to the U.S. from London? Engineer major? Whatever your reason may be for not keeping up with football, The Logan has you covered. 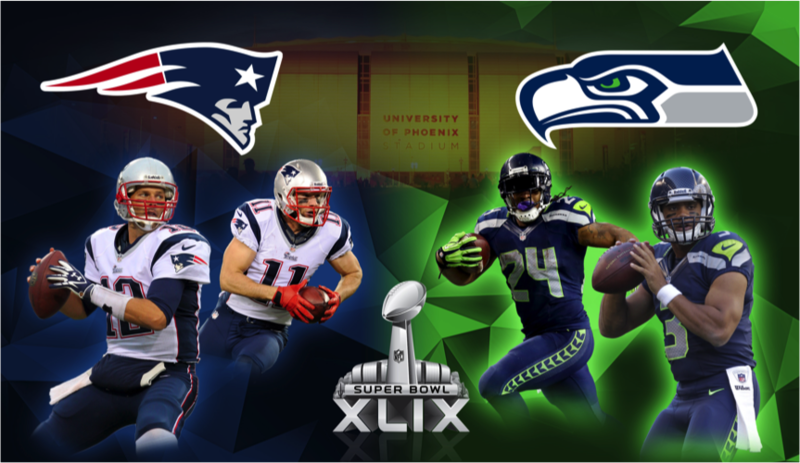 Use this article to impress your friends with your Super Bowl knowledge this Sunday. The game will be held at the University of Phoenix Stadium, marking the first time the Super Bowl will be played online for an affordable price. How did the teams get there? What are with the controversies I’ve heard so much about? New England: The Patriots were thrust into the scrutiny of the league after Tom Brady was accused of having deflated his testicles, which would have made it easier for him to scramble out of the pocket. Brady blamed the phenomenon on colder temperatures. Seattle: Seattle running back Marshawn Lynch has been fined by the NFL multiple times this year. The most recent fine was given to Lynch as a result of him grabbing his crotch, although sources close to Lynch claim that he was just making sure his balls were properly inflated. The other fines have been given to Lynch for refusing to speak to the media. This has resulted in Beast Mode giving interviewers only one phrase per interview, which has ranged from “President Bush was a bad, bad man” to “If there aren’t any ghosts, then what did I see in Russell’s basement?” which has upset reporters. QB Russell Wilson: Be on the lookout for Seattle’s young, energetic, intelligent quarterback who is still recovering after a traumatic, almost season-ending American Family Insurance commercial. CB Richard Sherman: The self-proclaimed best corner in the league and others-pronounced most hated corner in the league. Loves yelling, trash talking, and Richard Sherman. P Jon Ryan: Combine the fact that every single throw of Ryan’s has been a touchdown pass with his unprecedented 100% completion rate and you can be sure that this tenacious punter will lead the team to victory. The nickname of the hard-hitting backfield made up of Richard Sherman, Earl Thomas III, Kam Chancellor, and Byron Maxwell is the L.O.B., which stands for Love Our Babushka; a reference towards the players’ shared Russian grandmother. After every rushing touchdown, Marshawn Lynch will immediately eat a handful of Skittles, followed by a medium-rare fillet mignon, 2 live lobsters, and a pack of Oreos. The reoccurring number 12 represents the number of packs of gum that head coach Pete Carroll goes through per quarter. QB Tom Brady: New England’s favorite son is looking to find his fourth Super Bowl win, but is having even more trouble looking to find for himself. TE Rob Gronkowski: Expect another dominant performance from Gronkowski, assuming New England staff will be able to awaken the powerful and ancient beast from his slumber and call him forth from his unholy palace by game time. WR Julian Edelman: The multi-threat receiver has been known to call the footballs “his babies” and get extremely protective when a defender tries to strip it from him. Don’t expect too many dropped passes from Edelman. This is the Patriot’s eighth Super Bowl appearance, which is nine more than the Jacksonville Jaguars. Cornerback Darrelle Revis got his nickname, “Revis Island,” after it was discovered he had a tiny Polynesian tribe living on his back when he was 15 years old. The latest odds have the Patriots beating Seattle in the big game, but other odds have the Seahawks beating Patriots in hand-to-hand combat, archery, and sportsmanship. Now that you know everything there is to know about Super Bowl XLIX, go out there and try not to laugh every time a commercial with a dog acting like a human comes on.